The Eastern Sierra Mountain Range offers an extremely diverse range of unique natural features, from some of the oldest living trees in the world to extraordinary desert arches. Beyond its incredible terrain, this area of California also offers stunning, vivid views of the galaxy and night sky. I decided to spend time capturing on milky way timelapses including the beautiful landscapes. 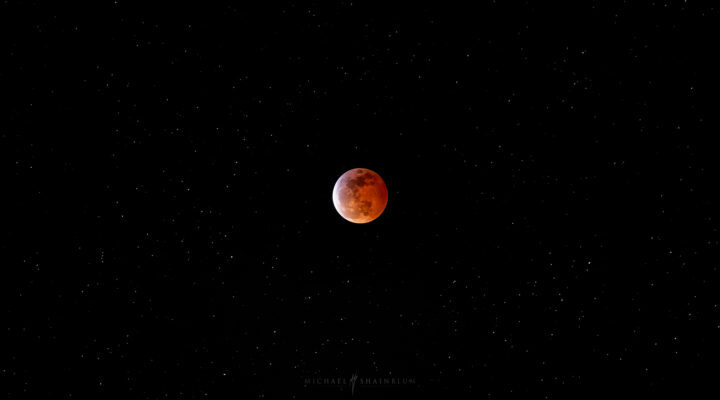 Sunrises, sunset and moonrises to observe the light changing around the scene. Here are two still images of the Milky Way Galaxy taken while time lapsing. 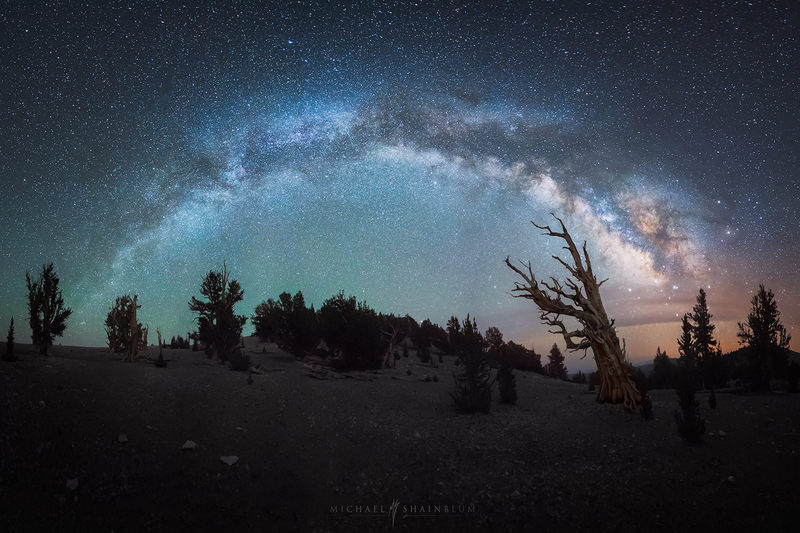 The first image was taken at the Ancient Bristlecone Pine Forest in the White Mountains. Some of the oldest living trees in the world. 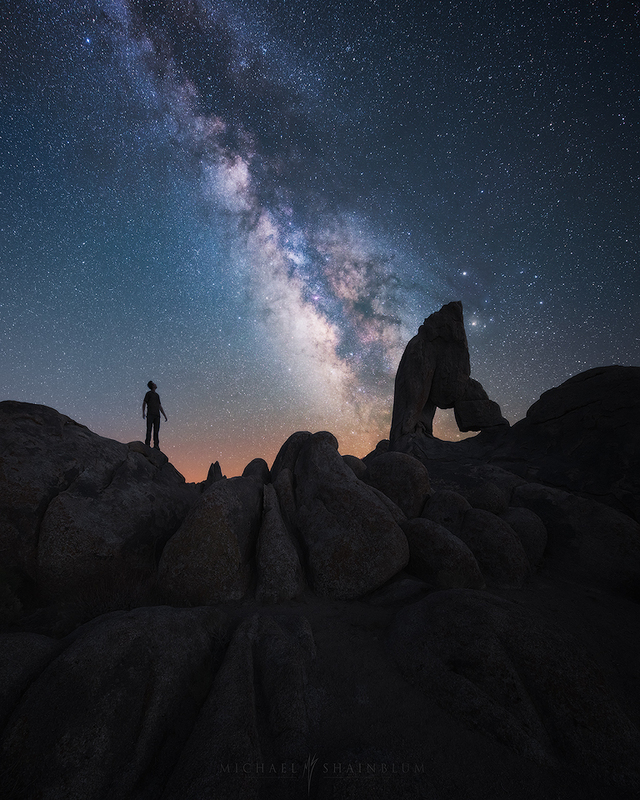 The second image is a self portrait taken at the Alabama Hills near Lone Pine California. Michael, Beautiful, beautiful videography. Inspiring! The music ? Waay over the top. Bombastic. Do you think your imagery needs help? I don’t. In Hollywood, music cues like these are employed to help a poor story. Soundscapes, Yes! Organic tracks, Yes! Your images really touched me, made me want to pick up my camera, then the music just pulled me out of the moment.